What it means to belong to our network. NNPHI member institutes and partner organizations are joined in a professional network of leaders with the relationships and resourcefulness needed to drive public health innovation. Connect with professionals who understand what it means to produce interdisciplinary, collaborative, high quality work that strengthens the nation’s public health system and improves population health. You’ll be able to draw from – and contribute to – a national pool of the latest evidence-based research, practices, and training. Finally, you’ll be making a real difference by creating conditions to improve the public’s health. Connect with the people and organizations that advance public health practice and support population health improvement. 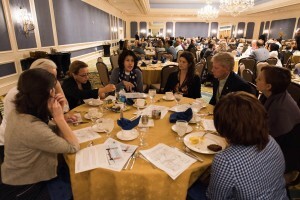 The annual three-day conference attracts leaders from federal agencies, private nonprofits, foundations, and academia. Members of NNPHI receive a discount on registration fees for the Annual Conference. How can we unite a network of experts to drive innovation in public health practice and improve population health? Learn More. NNPHI hosts monthly, members-only webinars covering a range of topics, from developing institute competencies to building cross-cutting relationships. Speakers include a selection of subject matter experts from the network’s pool of 4,500 public health professionals in addition to guest experts. View the Events Calendar for upcoming speaker series, remote trainings, and community of practice meetings. NNPHI staff members facilitate standing and ad hoc committees and workgroups to address varied interests of the membership, including current and emerging health issue areas and member competency development. NNPHI’s board and membership determine committees and workgroups. NNPHI members are engaged to participate based on their individual competencies and interests. NNPHI’s Funding Opportunities page includes grant opportunities available to member institutes and other organizations. NNPHI also frequently solicits member feedback to inform future funding opportunities. NNPHI develops and curates online resources and tools, offers one-on-one consultations, and facilitates connections to/information sharing among our members. To facilitate member benchmarking and sow seeds for further collaboration, NNPHI also collects data and publishes reports that detail the work and impact of our member institutes. See our resource directory. NNPHI’s website features a searchable online public health file library of resources produced by our members as well as NNPHI publications. Our career opportunities page publicizes career opportunities at our member institutes and partner organizations. NNPHI’s CEO sends a weekly Top 5 announcement to members, sharing high-priority funding opportunities, member announcements, networking opportunities, and other public health news. NNPHI also publishes episodic, thematic newsletters including content from members and partners, to bring members the latest information on federal, state/local events, emerging public health issues, trends in public health practice, training announcements, and funding opportunities. NNPHI represents member institutes on various national committees and workgroups as well as in episodic meetings with national partner organizations and federal agencies. What are the requirements of membership and what does it mean to join our network? There are many roads to NNPHI membership—see one of them below as well as our Modular Guide to Developing and Thriving as a Public Health Institute for details. Is your organization a Public Health Institute? What is a public health institute? When is a public health institute ready to consider becoming a NNPHI member? How do we know we’re ready to apply to become an NNPHI member? If we are interested in the public health institute model, where do we start? Offer programmatic expertise and staff capacity. What are the different types of public health institutes? Creates and maintains a board comprised of multi-sector leaders from across their state or region. Independence and limited internal bureaucracy when the organization needs to make decisions. Housed in an academic institution, but with leadership, vision, and strategic direction that is independent from University. University infrastructure and staff expertise may be available to the public health institute. Receives only administrative support from another nonprofit, though they may share the mission of the larger nonprofit. Stability and support from a large nonprofit and support managing finances, staff, information technology, and communications needs. 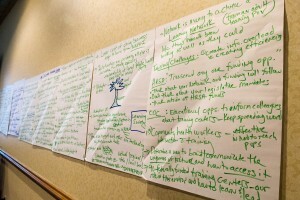 Grows and developments as part of another organization until the public health institute is ready to thrive on its own. Helps organizations navigate the challenges of a tough economic environment. Highlight: NNPHI’s Public Health Institutes Readiness Assessment provides a guide to public health institutes to access whether they are ready to join our network of public health institutes. See Chapter 2.1 in The Guide. What do public health institutes need to do to become NNPHI members? Submit an application to start an ongoing conversation about how your organization’s work, strengths, goals, and interest in collaborating with our national network of subject matter experts. Membership is decided by NNPHI’s Board of Directors through an established vetting process that includes thorough deliberation and ongoing dialogue with prospective members. A strong track record and reputation for working with a variety of partners to serve your state or region. 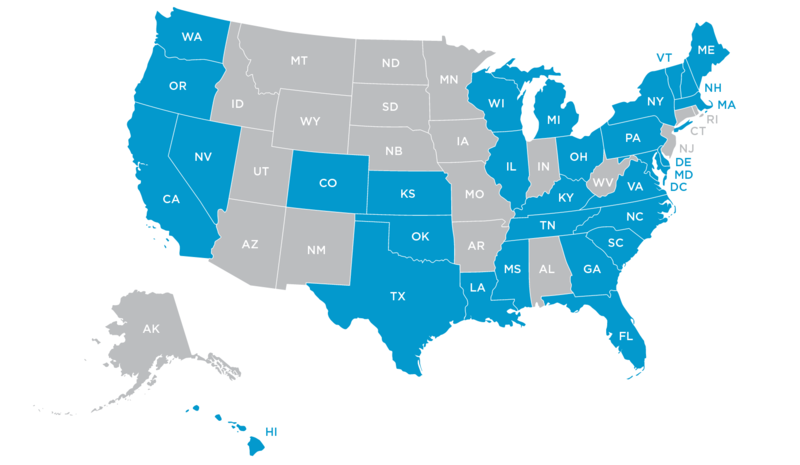 Broad and diverse representation of major participants in state and regional population health initiatives on your Board of Directors or Advisory Committee. An annual budget of at least $500,000, with at least two different sources of funding. Sophisticated organizational and programmatic budgets—think multi-year projects with re-granting components. Category A institutes can access the full range of NNPHI’s benefits. Category B Member: You institute is on its way; your organization is a provisional member, still in development. Or you might be an organization that already has a track record of population health innovation but you are exploring expanding your mission to achieve full public health institute status. Category C Member: You’re with us all the way when it comes to the NNPHI mission and vision; you’re an affiliate member. You may be dedicated to one particular competency such as health policy or fiscal administration or you might be a partner from a different sector with an interest in adding capacity to our network. Learn more about NNPHI’s three membership categories.